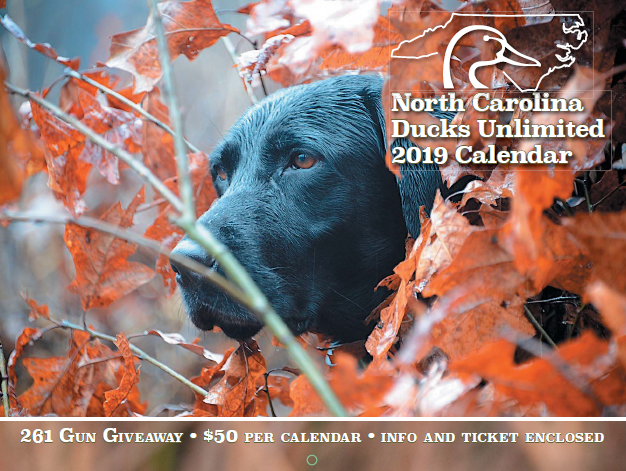 NCDU 2019 Raffle Calendars 261 Gun Giveaway are now being drawn! 2019 calendars are no longer available for sale, but be on the lookout for 2020 calendars later this year. chance to win one or more of the 261 guns + early bird guns by meeting requirements. Shotguns, Rifles Pistols, Benelli, Beretta, Browning, CZ, Fausti, Henry, Kimber, Marlin, Remington, Rossi, Ruger, Smith & Wesson, Savage, Sig Sauer, Springfield, Taurus, Tristar and Winchester. You support DU’s Conservation Mission! You help preserve our Waterfowl Hunting Heritage for the future! Calendars make great gifts for friends, families and customers! Thank you all for your ongoing support of NCDU! For the full list of this year’s daily prizes click here.